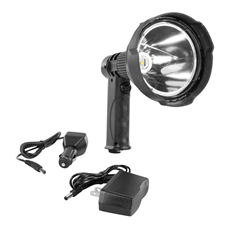 Larson Electronics, a leading industrial lighting company, releases a new 25 watt rechargeable high output LED spotlight that includes an AC and DC charging adapter providing operators in-home and on- the-go charging capabilities. 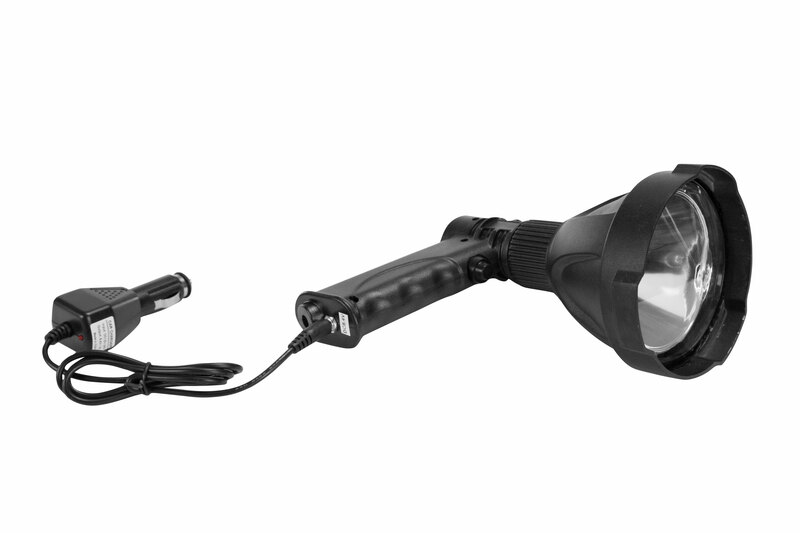 The included AC and DC charger gives operators the ability to freely use this light source without the hassle of being connected to a power source. 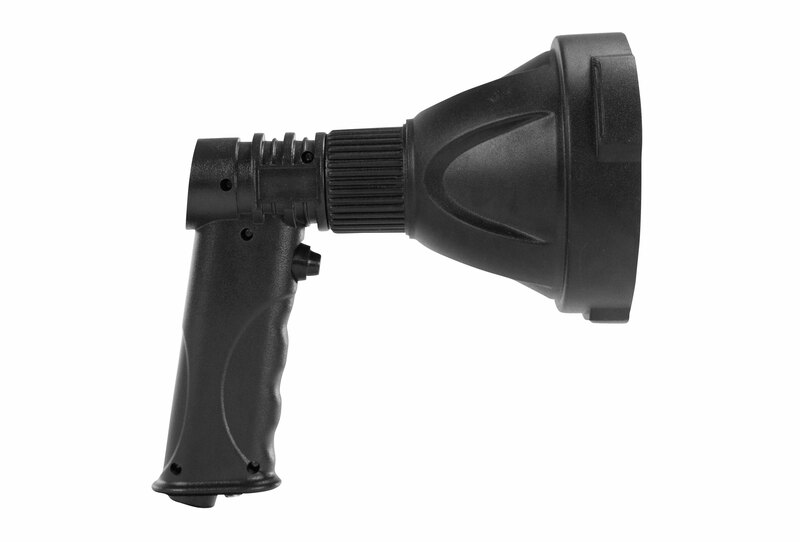 The RL-85-LED-CPR rechargeable handheld LED spotlight from Larson Electronics is a lightweight, ultra rugged, ergonomic handheld spotlight equipped with a 7.4 volt lithium ion battery pack. The battery pack for this spotlight provides a two and a half hour operation time and may be recharged in three hours from a completely depleted state. 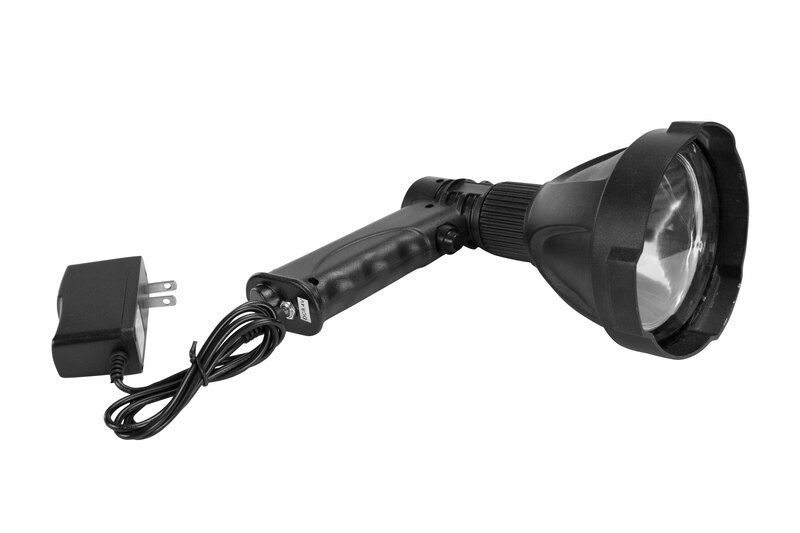 This high output LED spotlight is constructed with a single 25 watt Cree LED and features an advanced reflector and lens configuration to generate a 2,000 lumen light output. Drawing only 25 watts, this light produces a beam capable of reaching distances over 1,000 feet. The Cree LED unit used in this light generates eighty lumens per watt with 70% lumen retention at 50,000 hours, giving this lamp better efficiency and a longer operational life than traditional spotlights. This IP65 rated waterproof LED spotlight features an ultra-durable ABS shockproof polymer body, aluminum alloy light head housing, and an impact resistant polycarbonate lens. 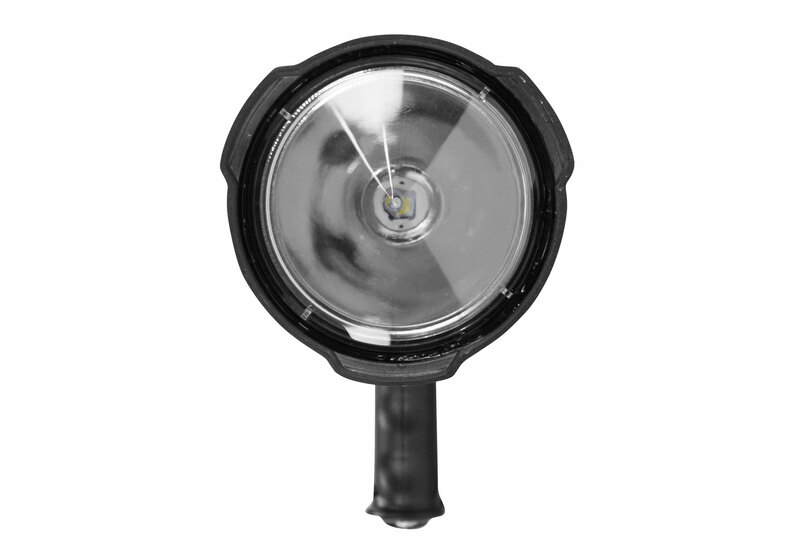 The unique shape and shallow contour of the reflector is paired with a convex lens and inset lens positioned to efficiently capture and project a focused beam of light while reducing light spillage. 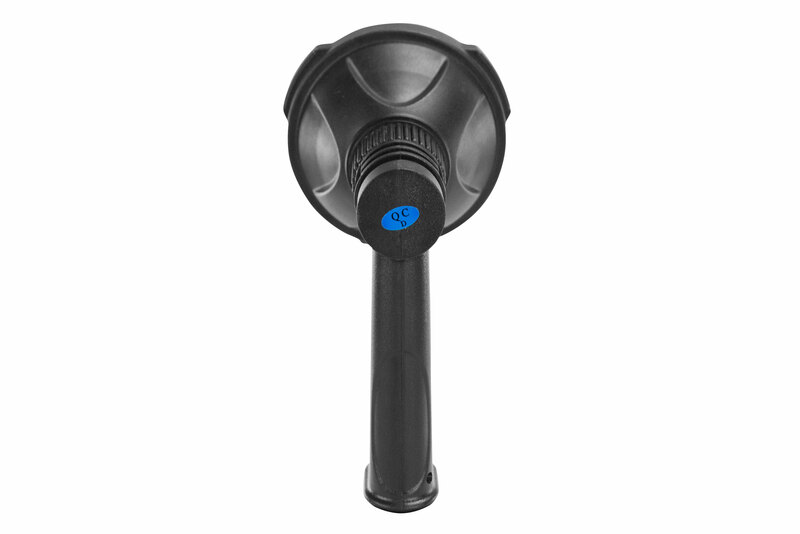 The pistol grip style, nylon handle has a no-slip textured surface to improve grip and has a conveniently placed push button so that the user can easily access the power switch with the fore finger for quick on/off operation.